Cornbread is a delicious type of quick bread because it’s mildly sweet and really tasty. 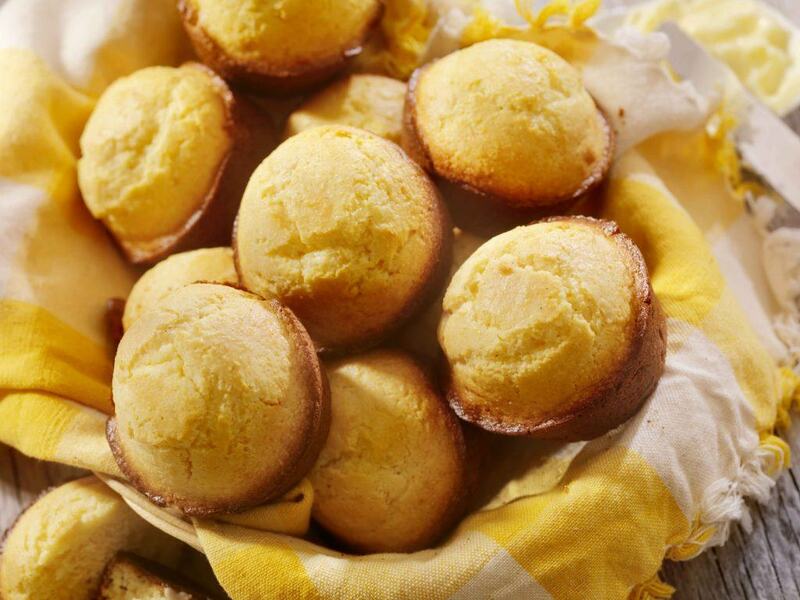 Needless to say, freshly baked cornbread tastes heavenly – it’s soft, moist, and lightly crumbly when you bite into it. If, by any chance, you have leftover cornbread, don’t be afraid to store it. With proper storage, cornbread can last anywhere from a few days to a few months. So, yes, you can make cornbread in advance as you can store it for future consumption. 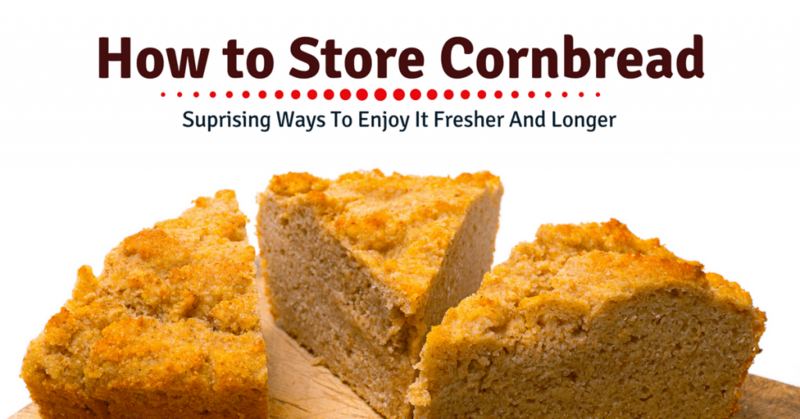 Everything you need to know as to how to store cornbread (and more) is found in this post. You can store cornbread in the pantry or anywhere in the house at room temperature. When we say room temperature, it should be around 20 degrees Celsius or 68 degrees Fahrenheit. Freshly baked cornbread can be stored in the pantry and stay good for 1 to 2 days. Cornbread should be stored in a dry area and away from direct sunlight. Storing cornbread in an airtight container is the best as air and moisture won’t be able to get inside. Such a setup also prevents insects from getting to your cornbread. You also have the option of keeping cornbread in a breadbox (Amazon) (as long as it complies to the room temperature rule). To keep the cornbread’s quality, don’t cut it into pieces (if it’s made whole). Cutting a whole piece of cornbread in many pieces will only expose them to air (and they will lose their moisture). One of the advantages to keeping cornbread at room temperature is that you won’t have to thaw it or reheat it when you want to eat it. Cornbread can stay fresh and delicious (good quality) in the refrigerator for about a week. Storing cornbread in the refrigerator will surely make its life longer than if you were to store it at room temperature. There will be some moisture formation when you keep cornbread in the fridge. The best way to pack cornbread when storing it in the refrigerator is to wrap it with cling-wrap plastic (Amazon) or something similar to it. Not only will this type of wrapping keep air and moisture away from the cornbread, but this will also allow you to see through the transparent plastic (this is especially useful if you have other foods wrapped inside the refrigerator). Freshly baked cornbread should first be allowed to cool off before putting inside the fridge. Refrigerated cornbread doesn’t require to be thawed – but you have the option of reheating it anyway. Fortunately, cornbread is a type of food that freezes well. 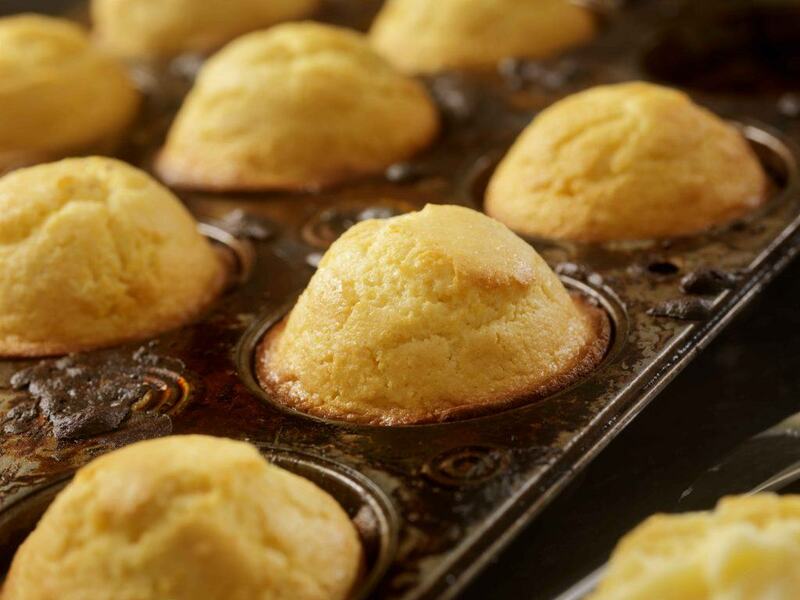 When done properly, frozen cornbread can maintain its quality for a very long time. Frozen cornbread (freshly baked) can maintain its quality up to about 3 months. To avoid deformation, it’s best to wrap cornbread in an aluminum foil first and then put it in another container. You also have the option of using Ziploc bags to store uneaten cornbread. Again, to avoid deformation in the freezer, it would be a good idea to place it in another (hard) container. Always use freezer bags and freezer-safe containers (Amazon) when storing food in the freezer (to avoid freeze burn). Allow freshly baked cornbread to cool off first before putting it inside the freezer. Frozen cornbread needs to be thawed first before you can eat it. However, you can opt to eat it at room temperature or reheat it first. Let frozen cornbread thaw while still in its wrapping (foil or plastic). This way, its moisture will still be retained when you unwrap it. You can take the frozen cornbread from the freezer the night before and put it in the refrigerator to thaw overnight. If you’re planning to take some frozen cornbread to work, you can take it out from the freezer before you leave the house. It will thaw on your way to work and will be ready to eat by lunch time. You can use the microwave (thaw function) when thawing frozen cornbread. Frozen cornbread should be thawed first before reheating it. When reheating in the microwave, you can retain the cornbread’s wrapping (as long as it’s microwave-safe). Your best options in reheating cold or thawed cornbread would be in the microwave or the oven. It’s not advisable to mix all the ingredients (dry and wet) of a cornbread recipe in advance. The actual mixing of all ingredients should be done on the day itself (day of baking). To save on preparation time (on the actual day of baking), you can mix the dry ingredients in advance and place the mixture in the refrigerator. Don’t combine the wet ingredients needed in a cornbread recipe until you’re ready to cook it.. 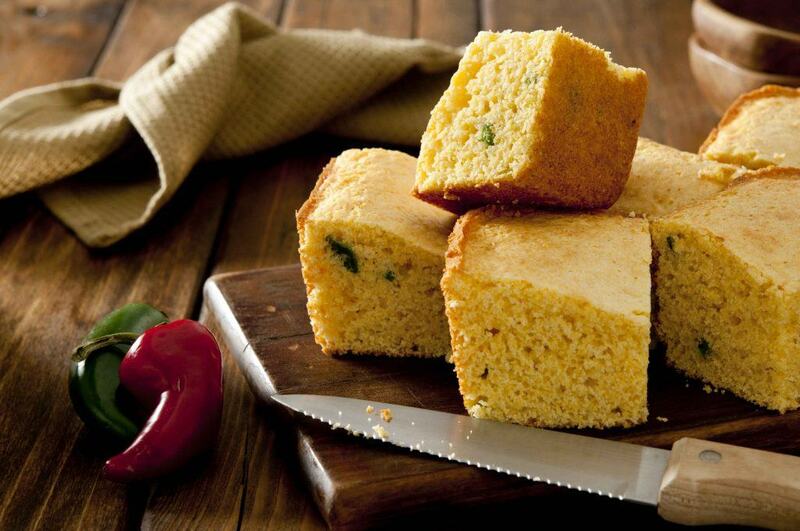 There are signs of mold – These are blackish or greenish formations on the cornbread. 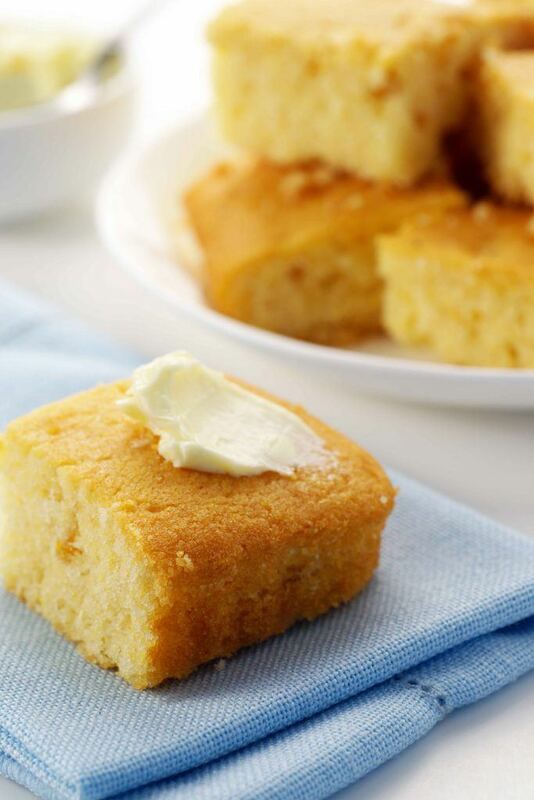 Sticky moisture – While fresh cornbread is moist inside, it’s quite dry outside. Therefore, should you find that it has a somewhat wet and sticky texture, it means that it’s already bad (really bad). Unpleasant smell – Fresh cornbread smells good – there’s no denying that. So, should you find that it has a sour, unpleasant smell – that’s a sign that it’s already spoiled. Remember that cornbread will first become stale before it gets spoiled or rotten. Stale cornbread can still be eaten, but it doesn’t taste as good as fresh cornbread. Don’t eat spoiled cornbread (or any food, for that matter). Throw away spoiled, rotten food as soon as possible (as it may contaminate your other food). Proper storage will help keep your cornbread fresh for a longer period of time (see proper storage tips above). As the prime ingredient in making cornbread, I thought it necessary to include some cornmeal care and storage tips in this section. Proper storage will definitely extend the life of cornmeal and knowing how to tell if it’s still good (not spoiled) is just as important. A sealed package of cornmeal will last for about a year. Once opened, it will only remain good (best quality) for about 3 to 4 months. Store cornmeal in a dry environment and away from direct and indirect heat. Remember that moist environment exposes food (even raw ingredients) to mold formation. Keep cornmeal in an airtight container to keep it fresh and in good quality for a long time. This setup keeps it safe from insects and sealed from air and moisture. Before using cornmeal, make sure that it’s not rancid. If it already smells musty, it means that it has already gone bad. Fresh cornmeal smells good – it smells kinda sweet. If you sense that your cornmeal ingredient has already gone bad, don’t use it in your recipes. It will only ruin your recipes and even put your health in danger. Filler – Broken pieces of cornbread can be used as meatloaf filling and bird stuffing. Snack – Crumbled cornbread in milk (or yogurt) makes for a delicious snack. Bread Pudding – Cornbread ingredient can make great tasting pudding (this turns it into another recipe). Croutons – Stale cornbread can be converted into croutons by cutting it in small pieces and frying in butter. Q: How do I keep cornbread moist? A: Keeping cornbread in an airtight container and storing it properly (using the methods above) will help keep the food moist and fresh for a long time. Q: Can I make cornbread ahead of time? A: Yes, you can make cornbread ahead of time. Store it properly and you can have it ready for consumption anytime. Q: How can I freeze cornbread? A: Wrap and pack cornbread properly before placing it in the freezer. Q: What is the best way to reheat cornbread? A: You can reheat cornbread in the oven or in the microwave. Q: Does cornbread casserole need to be refrigerated? A: Refrigerating freshly cooked cornbread will extend its life as it can easily spoil when left at room temperature for more than a day. Q: How long is cornbread good for in the refrigerator? A: Freshly baked cornbread will remain in good quality (in the fridge) for about a week. Q: Does cornbread freeze well? A: Yes, cornbread freezes well – but make sure that you follow the proper freezing procedures listed in this post (above). Q: How can I reheat frozen cornbread? A: You will need to thaw frozen cornbread first before you can reheat it. Otherwise, it will result in uneven heating (and cold spots can remain). Before I end this article, I want to provide you with some quick tips. When storing cornbread, remove as much air from the wrapping as possible. 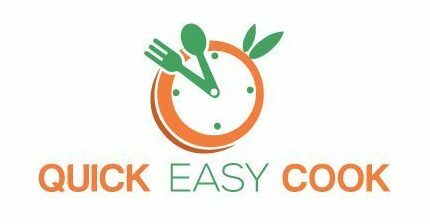 You can use a food sealer (Amazon) to prolong the life of food (not just cornbread). Avoid overmixing cornbread batter to remove all the lumps in the mixture. The lumps are actually useful in holding moisture and will keep the food soft for a longer period of time. When choosing cornmeal ingredients for your cornbread, go for de-germinated cornmeal instead of whole cornmeal. You see, de-germinated cornmeal has longer shelf life than whole cornmeal and will make your cornbread last longer. Still, if you want a more nutritious ingredient, go for the whole cornmeal variety. I hope you learned a lot from this post – at least, as far as cornbread is concerned. Now, you can enjoy this delicious bread longer (and in fresher condition). If you have anything to add to this article, feel free to share your thoughts in the comment section below. Also, feel free to share it with friends! Enjoyed this article. I store my flour and meal in freezer. It really seems to have a long shelf life. Flour is cold for mixing my biscuits though.